Pick a destination that attendees would never choose on their own. While an island in the Caribbean is great, how about a trip to an active volcano, or the opportunity to see Antarctica? You want to not only impress potential winners; you also want to incentivize them to work hard to win next year’s trip. Make that extra effort to find that extra special destination. Research activities that awe and inspire. Avoid the same old activities that currently attract the leisure traveller. Find the next great thrill before it goes mainstream. 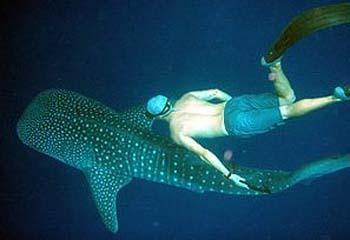 Ever been swimming with the whale sharks or waterfall repelling in the rainforest? Here’s a hint: ask the locals. Tell them you are looking for experiences that are off the beaten path, and extra special. You may be amazed by suggestions you hear. Ask yourself: is this a heart pumping excursion or just another processed group tour? Gifts and giveaways. It doesn’t have to be something big or expensive. If it’s not something you would want and cherish, chances are your guests won’t want it either. Create the experience from the invite process until after they are home. Consider creative invitations, like painted coconuts for an island adventure, or messages in a bottle for a cruise. Also, nightly room drops and post event photo keepsakes ensure your program extends beyond the dates on-site. Try a tasty local sweet on the pillow, or if the budget allows, monogrammed pajamas made out of silk. Here’s an extra special tip: hire a singer to deliver a gift one night in custom song (or poem) written just for your group. It will be memorable, and everyone will get a fun laugh! A private pick-up never hurts. After a six-hour flight, nothing is better than being whisked away in a private sedan. This extra touch, if you can afford it, makes all the difference when your attendees arrive and when your attendees depart. Make it extra special by adding the local drink ready to go in the backseat when they enter the car. Make sure you have water/juices for your non-drinkers and let them sit back, relax and enjoy the ride. Top it off with a hot or chilled face towel. This extra touch will go a long way to making the experience extra special. Have plenty of meal options, but don’t make them think about it – Attendees are on the trip to be rewarded, so give them the option of great dining. Find out the hottest restaurants at your destination, and book private tables in advance. Work with the restaurant owners or executive chefs on a menu created just for your group. If possible, see if the chef has a book published and hand them out as an amenity gift (signed copies are even better). For meal functions, be sure to mix it up different nights. A trip full of organized group dinners with other winners is fun, but sometimes a couple may want to enjoy an evening on their own. Reward trips should provide freedom and flexibility especially at meal time. Always remember, if you wouldn’t want to do it, chances are your attendees won’t either. Be creative, fun and inspiring. You want the incentive winners talking about your trip in the months after and talking about what incredible adventure you will be taking them on next year! This entry was posted in Breaking News, Corporate Travel & Incentives, Employee Incentives, Event Operations, Meeting Checklists, Meeting Community and tagged employee appreciation, gifts, incentive program, meal options.